'Corn' is one main dining Indonesian nation as well as other staple foods (sago, rice). But sometimes we lack an understanding of how the many benefits that exist in this corn. Even people with diabetes were encouraged to eat rice corn, here are some benefits of the fruit of corn. Who does not know the plant golden yellow fruit, corn, including one of the staple food of Indonesian society that is less so in demand, in addition to cassava and sago course. 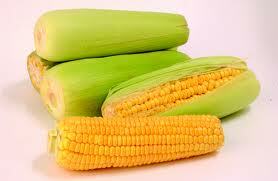 Though the nutrient content of maize has a composition of substances a more complete food than rice. Aside from being a major source of carbohydrate, staple foodstuffs native of Madura in East Java also contains other nutrients such as: Energy (150.00 cal), protein (1.600 g), fat (0.60 g), Carbohydrates (11.40 g), Calcium (2.00 mg), phosphorus (47.00 mg), Fiber (0.40 g), iron (0.30 mg), Vit A (30.00 RE), Vit B1 (0.07mg), Vit B2 (0.04 mg) , Vit C (3.00 mg), Niacin0, (60mg). With a variety of substances which owned the corn, not surprising that corn is also known as sufficient nutritious food such as muscle and bone builder, good for the brain and nervous system, prevents constipation, lowers the risk of cancer and heart disease, prevent cavities, as well as oil can lower blood cholesterol. To launch our urinate enough boiled 50 grams of corn silk that has been washed with 1 liter of water. cooking water to drink 2-3 times a day. Mash until smooth corn cobs that have been washed clean water add 1 cup. drink this mixture 2-3 times. Fruit corn can also be used to launch milk. boiled corn and eat fruit as usual. and many other benefits from the fruits of corn.